* To promote community awareness of the significance of farming in Holland Township. * To disseminate information about farmland and open space preservation and assist landowners with application process, advising them on preservation options and directing them to the proper state and county agencies. * To prepare and maintain the Farmland Preservation Plan Element of the Master Plan and the Comprehensive Farmland Preservation Plan. * To serve as liaisons from Holland Township to the Hunterdon County Agriculture Development Board (CADB). 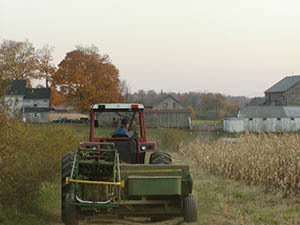 * To gather data concerning farm ownership and farming activity in Holland Township. * To make recommendations to the Planning Board concerning the need to prepare or amend the Farmland Preservation Plan Element of the Master Plan. © 2018 - 2019 Township of Holland, New Jersey, All rights reserved.